Bragi, creator of the Dash wireless earbuds, has made an exit from the consumer market. The company confirmed to Wareable that it sold its product business to "a third-party buyer" in March this year. Bragi will continue to license its IP and AI, but it will no longer be creating new devices, company CEO Nikolaj Hviid confirmed. Suspicions arose back in January when all products on Bragi's website were showing as out of stock. When we asked the company about this at the time, it told us it planned to replenish stocks of the Dash Pro and Headphone devices in the future, but as more time passed without it happening, the more apparent it was that something was wrong. The company would not reveal the identity of the buyer, but said that customers who own Bragi devices will continue to be supported through the existing channels, and that this will continue post-acquisition under the new owner. Hviid told us in a statement: "Bragi's technology suite is applied beyond our own products to partners and headphone brands. The Dash Pro featured groundbreaking ultra efficient AI and software that could be updated with new features such as Amazon Alexa, language translation and personalised hearing. With the sale of our product business, Bragi has completed its transformation into a software, AI and IP licensing company." The German startup has generated a lot of buzz for its in-ear computers over the years - and a lot of attention from larger companies trying to make a mark in this space. According to sources speaking to Wareable on the condition of anonymity, in 2017 Google was interested in acquiring Bragi's technology for its own Pixel Buds. The deal obviously did not happen, and Bragi secured new funding in August 2017, which Google was not a part of. Fitbit was another company in talks with Bragi over a possible acquisition around the same time, sources say. Fitbit refused to comment on this. Google did not respond to our request for comment by the time of publication. 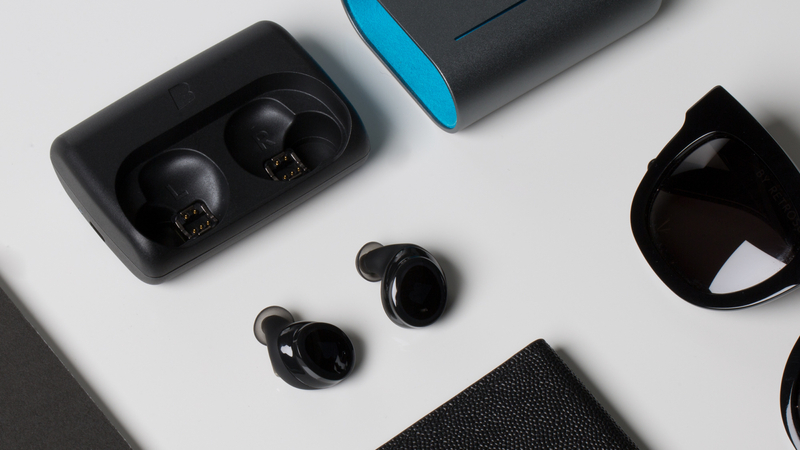 Bragi brought its first product to market in 2015 following a mammoth Kickstarter campaign that raised $3.4m and turned Bragi into the poster child for hearable technology. The Dash was an exciting glimpse into the future of hearables, but it was let down by poor Bluetooth and features that felt half-finished. The company later partnered with Starkey Hearing Technology (a US-based hearing aid manufacturer) to offer customer designs of the much-improved Dash Pro, its follow-up hearable which added new features like live translations. But this opened up another interesting path for the company, when a bill to let hearing-assistive devices be sold over the counter was signed into law in 2017. This presented a massive opportunity in assistive hearing, and in 2018 Bragi announced Project Ears, a partnership with Mimi Hearing Technologies to add hearing enhancement features to its devices. It's sad to see that none of this was enough to save Bragi. In a world of AirPods, Bragi was trying to do something different - a true "ear computer", as it often described it - and AI was a huge part of that mission. Last year it announced a machine learning platform called NanoAI, and that's where it's now putting all its focus. You can read more about it here.